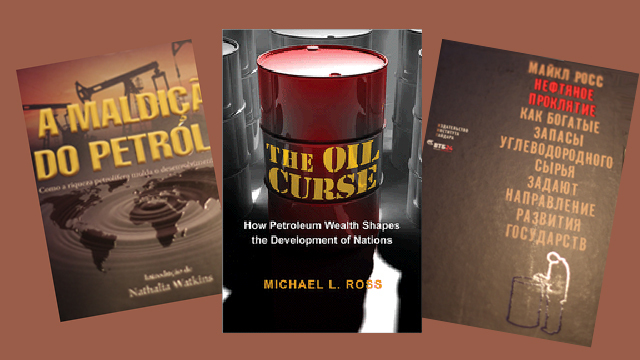 Originally published in 2012, The Oil Curse by Michael L. Ross has been translated into Russian, Portuguese and Arabic — all in the last year. “I think that ultimately, the answer for all of these countries is to better develop their non-oil economies — that is, the rest of their economies. In that sense, the drop in oil prices provides a great opportunity because it means they have to pay much more attention to the conditions outside of the oil sector." UCLA International Institute, February 24, 2016 —When UCLA Professor of Political Science Michael L. Ross published his most recent book, The Oil Curse: How Petroleum Wealth Shapes the Development of Nations in 2012, the average price of crude was roughly US$ 111/barrel. Although a drop from its historic high of 2008, when the price exceeded US$ 140/ barrel, it was a far cry from the US$ 26–31/barrel to which it has plunged in the past two months. The well-reviewed, exhaustively researched book explores the “curse” of great natural resource wealth on equitable development, arguing that countries with such wealth — especially if they nationalize their resource-extraction companies — are less likely to be democratic, more likely to experience civil war and more apt to develop economies that leave women at a disadvantage, with less rights at home and fewer opportunities on the job market. Ross examined 50 years of data on 170 countries to write the book, including data that he himself developed on oil wealth and oil production, together with measures developed by other political scientists and nongovernmental organizations that analyze such criteria as the levels of democracy and political violence in a country and how often its government changes. The Oil Curse uses this evidence to demonstrate that oil-rich countries in particular tend to make governments larger, less transparent, more susceptible to corruption and more apt to use generous welfare and energy subsidies to maintain stability. When the price of oil is high, the uneven economic development of these countries gets little notice. But when oil prices fall steadily, as has been the case since at least 2014, government revenues drop sharply and reforms become more urgent. It was against the background of steadily dropping oil prices that Ross’s book was translated into three languages in 2015: Russian, Portuguese and Arabic — languages of countries with some of the world’s largest oil reserves, if not the world largest oil producers. The response has been enthusiastic, with Ross receiving many emails from readers, as well as invitations to speak. Not long ago in fact, he spoke at a conference in Kuwait organized by the Economic Regional Forum, an association of economists from the Middle East region. In Brazil, the “natural resource curse” has become a hot topic due to a constellation of recent developments, including recently discovered oil reserves, ongoing impeachment proceedings against President Dilma Roussef and a scandal involving purported bribes channeled into her presidential 2010 and 2014 campaigns by the state oil company Petrobras. Indeed, the adverse effects of natural resources on economic development and governance is such a hot topic in Brazil that Citadel Groupo Editorial decided on a 10,000 print run of The Oil Curse — a rarity for a research monograph. Meanwhile, Ross has been featured twice in the leading Brazilian newsmagazine, Veja, once when he was interviewed about the book in December 2014, and again in January 2016, when an editorial pronounced his views correct. The book was published in Russian by the respected Gaidar Institute of Moscow, named after the late reform economist Yegor Gaidar (champion of “shock therapy” in the immediate post-Soviet period), and in Arabic by the Forum for Arab and International Relations in Qatar. 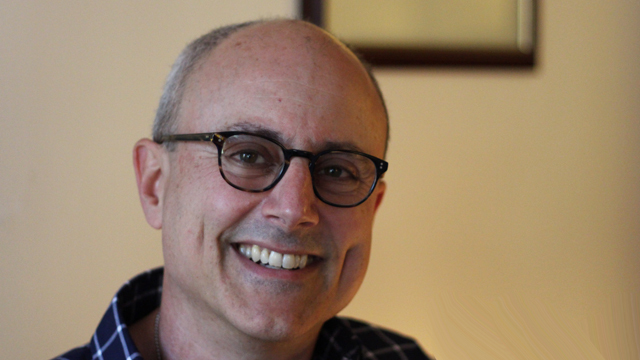 According to the author, online discussions of the book are lively in both languages. “Much of what I say is very sensitive in the Middle East because it’s critical of governments that use oil money to enrich themselves and to keep undemocratic people in power,” comments Ross. “And even though some governments in the Gulf region have invested a lot of money in national development and have done some admirable things, it’s still a difficult thing to talk about in undemocratic places. “I think that ultimately, the answer for all of these countries is to better develop their non-oil economies — that is, the rest of their economies,” says Ross. “In that sense, the drop in oil prices provides a great opportunity because it means they have to pay much more attention to the conditions outside of the oil sector. . . They have to figure out what needs to be done to promote investment and exports, encourage entrepreneurship, and promote the development of healthy regulatory systems for the non-oil economy. Given current-day realities, many oil producers are already moving in the direction of change. Saudi Arabia, for example, has “already announced that it’s going to cut back sharply on the energy subsidies that it provides to the population and to start imposing some kind minimal taxes,” observes Ross. “Subsidies cost a lot more when prices are much higher, but governments also have a lot more revenue to fund those subsidies,” he explains. “They are not as costly now, but the [Saudi] government is running such a large deficit that it brings leaders under pressure to take some corrective actions. And if they can keep the subsidies at bay, even when prices rise again, then this will have a helpful effect on many different things. . . . The subsidies I worry most about the ones that have big environmental consequences — global environmental consequences — and those are the energy subsidies,” he says. As for greater transparency and democracy, Ross considers the chances to be higher in Venezuela, although change may take time. Both Venezuela’s more democratic history and better-designed democratic institutions give it a leg up to evolve in this direction. “We’ve already seen the beginning of the return of democratic checks and balances,” remarks the author. In countries such as like Angola, Equatorial Guinea and Saudi Arabia, however, Ross is less sanguine about political evolution. These countries lack historical experience with democratic institutions, he explains, making it unclear whether the weakening of the central government will open up space for civil society or result in political conflict. “That's a trickier pathway,” he comments. “It’s extremely difficult to do when the overwhelming budgetary priority it to manage these large flows of cash and figure out how to take it in, where to park it and how to redeploy it. What you do with your private sector is really an afterthought. Even if your economists and policymakers ultimately know that this is an important thing, it’s very hard to do,” he explains. Ross is realistic about political and economic change, claiming that “change happens on the decades scale rather than the monthly scale.” Nevertheless, he views the plan to sell Aramco shares as positive. “It would be a giant step toward modernization to begin disclosing the operations of this very opaque but critical part of the government. . . . I think it will empower civil society and create incentives for reduced corruption and greater accountability,” he concludes.